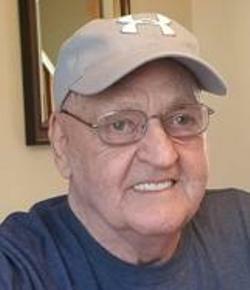 John S. Buckjune, 76, of Natick but formerly of Lowell, Massachusetts passed away peacefully Friday March 1, 2019 at Lowell General Hospital with his daughter andhis son by his side. He was born in Lowell, Massachusetts, December 21, 1942, the son of the late John S. and the late Margaret (Mellen) Buckjune. John attended Lowell schools, was a graduate of Lowell High School in 1960 and went on to attend U/Mass Lowell. A veteran of the Vietnam War, he proudly served his country as a member of the U. S. Army. Prior to his retirement, he was a surveyor with the Commonwealth of Massachusetts for many years. Among his many interests John enjoyed playing and watching golf, going to the beach, fishing, going to dinner, and the movies. He is survived by his daughter Laurie A. Buckjune of Londonderry, NH; his son Michael J. Buckjune and his wife Leila of Darien, CT; two grandchildren James and Elle Buckjune of Darien, CT; his lady friend of 25 years, Judy Shea of North Chelmsford; three sisters Donna Barrett and her husband James of Edgewater, FL, Patricia Buckjune of Dracut and Margaret Marotte of Ormond Beach, FL; a brother Charles Buckjune of Brookline;several nieces and nephews. John was the brother of the late Raymond Buckjune. Private Funeral Services were held for the family. E-condolences at www.odonnellfuneralhome.com. Those wishing may make contributions in his memory to the American Cancer Society, 30 Speen St., Framingham, MA 01701. Arrangements by the O’DONNELL FUNERAL HOME – (978) 458-8768. Elizabeth A. 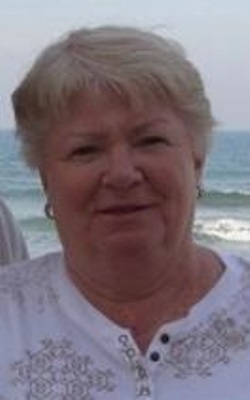 (Dempsey) St. Peter, 80, of Rye, New Hampshire, but formerly of Lowell, MA and Ormond Beach FL, passed away Friday March 1, 2019 surrounded by her loving family at Portsmouth Regional Hospital in Portsmouth, New Hampshire. She was the beloved wife for over 61 years of Ronald F. St. Peter, Sr., who survives her. Born in Lowell, Massachusetts, March 20, 1938, a daughter of the late William F. and the late Helen (Dowling) Dempsey, she attended St. Peter’s Grammar school and was a graduate of Keith Hall Class of 1956. Prior to her retirement, Elizabeth was an administrative assistant in the Music Department at U/Mass Lowell. Previously she was a dental receptionist for Dr. John P. Mahoney. Elizabeth’s greatest joy was spending time with her family. Besides her husband, she is survived by three daughters Susan H. Canelas and her husband Robert of Dracut, Jane E. Potvin and her husband Gary of Hampton, NH and Laurie A. Donahue of Hampton, NH; a son Ronald F. St. Peter, Jr. and his wife Dianne of Nashua, NH; eight grandchildren Shaun Gray, Erin Tuleja, Jessica Ferris, Kaitlin St. Peter, Julia Potvin, Jacquelyn Potvin, Ronald F. St. Peter, III and Allison Donahue; six great grandchildren; her sisters-in-laws Margaret St. Peter, Beverly Wiley, Mary Baker and Dorothy St. Peter; many nieces, nephews, grand nieces and nephews. She was also predeceased by her grandson Shane Potvin; her brother William J. Dempsey and his wife Constance Dempsey; also predeceased by brother-in-laws, John B. St.Peter and Gerald R. St.Peter. Friends may call at the O’DONNELL FUNERAL HOME 276 PAWTUCKET ST. in LOWELL from 4 to 8 P.M. Wednesday. Relatives and friends are invited to attend her Funeral Mass to be celebrated Thursday morning at ST. MARGARET CHURCH at 10 o’clock followed by her burial at St. Patrick Cemetery. E-condolences/directions at www.odonnellfuneralhome.com. Those wishing may make contributions in her memory to the American Lung Assn., 1661 Worcester Rd, Suite 301, Framingham, MA 01701. Arrangements by Funeral Director James F. O’Donnell, Jr. (978) 458-8768. Elizabeth A. (Powling) Curtis, 87, a member of a widely known Lowell family, died early Saturday morning March 2, 2019 surrounded by her loving family. Born in Deerfield, Massachusetts, January 20, 1932, a daughter of the late Robert L. and the late Ella A. 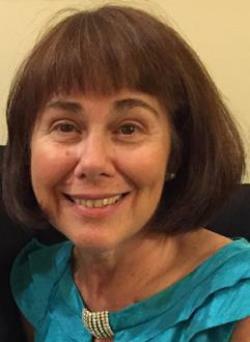 (Scott) Powling, she attended South Deerfield schools and was a graduate of South Deerfield High School. Elizabeth was all about her family, especially being with her grandchildren and great grandchildren. She enjoyed cooking, reading and long car rides. She is survived by five daughters Joanne Curtis of Nashua, NH, Jean LaMarche of Lowell, Arlene Curtis of Nashua, NH, Ruthann Santiago and her husband Jose of Providence, RI and Heidi Curtis of Lowell; three sons James Powling and his wife Elaine, William Curtis and Edward Curtis all of Lowell; 25 grandchildren; many great grandchildren and one great great grandchild; two brothers Blondie Powling and BoBo Powling both of Springfield, MA; and many nieces and nephews. Elizabeth was the mother of the late Roberta Jean Powling. 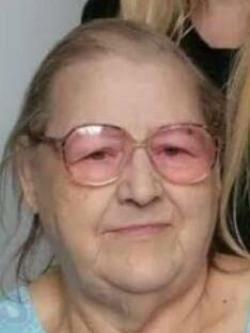 Relatives and friends may call at the O’DONNELL FUNERAL HOME 276 PAWTUCKET ST. at Fletcher from 4 to 7 P.M. Tuesday with her Funeral Service to be held in the Funeral Home at 6:30 P.M. E-condolences/directions at www.odonnellfuneralhome.com. Arrangements by Funeral Director James F. O’Donnell, Jr. (978) 458-8768. Geraldine "Geri” (Munroe) McPhillips, 64, of Dunstable, Massachusetts, passed away Tuesday morning February 19, 2019 in her family home, which she built with her husband, Paul McPhillips. Paul and Geri celebrated their 42nd wedding anniversary in 2018. Besides her husband, Paul, Geri is survived by her children, Lauren McPhillips Smith and her husband Josh, and Julie McPhillips, all of Boston; her brother, Frank Munroe and his wife, Maureen, of Tewksbury; her three sisters, Bunny Knight, Mary Ellen Nihan and husband James Nihan, and twin-sister, Barbara Pickering, all of Chelmsford; her in-laws, Joan Nunes and her husband, John, of Deland, FL: siblings-in-law, Gary McPhillips and his wife, Sue, of Lowell, Brian McPhillips and his wife, Paula, of Lowell, Sandra McPhillips of Deltona, FL, and Carol Munroe of Dunstable; as well as many nieces and nephews. Geri was predeceased by her brother, George Munroe, and brothers-in-law, Dixon, Dennis, and Jack. Born in Brighton, Massachusetts, March 14, 1954, a daughter of the late Daniel J. Munroe and the late Mary F. (Connolly) Munroe and her husband, Geri’s step-father, the late Thomas Harry Willard, Geri attended Chelmsford schools and was a graduate of Chelmsford High School, Class of 1972. Geri went on to attend Northern Essex Community College where she received her Associate’s Degree. She worked in the lab at the Edith Nourse Rogers Memorial Veterans Hospital in Bedford for 37 years, and remained devoted to her job and her patients throughout her long career. Geri treasured her family and friends, all of whom will deeply miss the thoughtful greeting cards she faithfully sent for every occasion. She enjoyed spending sunny days with her family at Old Orchard Beach, which would inevitably lead to an afternoon happy hour curated with cheese, crackers, and her favorite white wine (with ice, of course), followed by sundaes for dessert. Geri lived life to the fullest and she was always up for fun adventures. One of six tight-knit siblings, Geri enjoyed many holiday traditions with her brothers and sisters as well as weekend trips to Hampton Beach with the McPhillips clan. Her dozens of nieces, nephews, and their children will always lovingly remember her kindness and infectious laughter. Geri was an incredibly selfless and genuine person who did the right thing in every situation. She always maintained a positive outlook on life and expressed it with a big, beautiful smile, no matter what the circumstances. Her devotion to Paul and their daughters was remarkable and her ability to see the good in people was truly inspiring. Friends and family may call at the O’DONNELL FUNERAL HOME 276 PAWTUCKET ST. in LOWELL from 3 to 7 P.M. Monday. Funeral Mass to be celebrated Tuesday morning at ST. JOHN THE EVANGELIST CHURCH in Chelmsford at 11 o’clock. Burial will be private at a later date. E-condolences/directions at www.odonnellfuneralhome.com. Those wishing may make contributions in her memory to the Michael J. Fox Foundation for Parkinson’s Research, P.O. Box 5014 Hagerstown, MD 21741-5014. Arrangements by Funeral Director James F. O’Donnell, Jr. (978) 458-8768.